There are various web services which render free web mapping service such as Google Map, OpenStreetMap, etc to assist users who need help with directions or location reference. Since these free mapping services are web based, users need to go online in order to enjoy the facility. However, applications such as GMapCatcher help users to view the maps even when they are in offline mode. GMapCatcher is a free offline maps viewer that can downlaod online map services such as CloudMade, OpenStreetMap or Google Map automatically and display the maps using a specific GUI so that users can continue viewing the maps even though they are offline. To download the map tiles automatically, users just need to uncheck the offline toggle button. The map tiles will be downloaded and stored on users’ hard disk for offline viewing. GMapCatcher offer users to do map search queries via the name of city, state or zipcode. Users can zoom in/out to view the maps clearer. 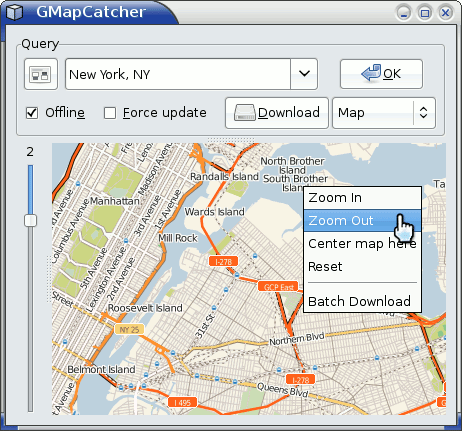 GMapCatcher is developed in Python 2.6, and can run on Linux, Windows and Mac OSX. Users who frequently access map services can download this application here and will surely find it useful. They can easily access any browsed maps even without Internet access.